The boat is in good condition with many upgrades. The last haul-out/bottom paint was conducted about 1.5 years ago. The water heater is currently replaced. The AC/heat are in working condition as well as electronics. The dinghy engine needs a starter cord. 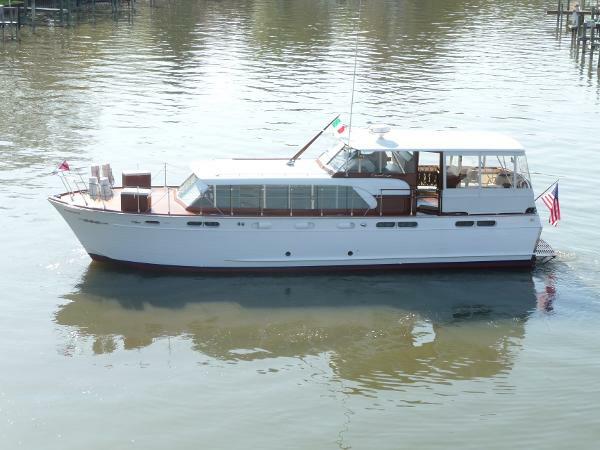 Stock #172049 SHE IS ONE OF THE BEST DESIGNED AND BEST BUILT YACHTS EVER MADE If you are in the market for a motoryacht, look no further than this 1985 Chris-Craft 50 CONSTELLATION, priced right at $116,700 (offers encouraged). 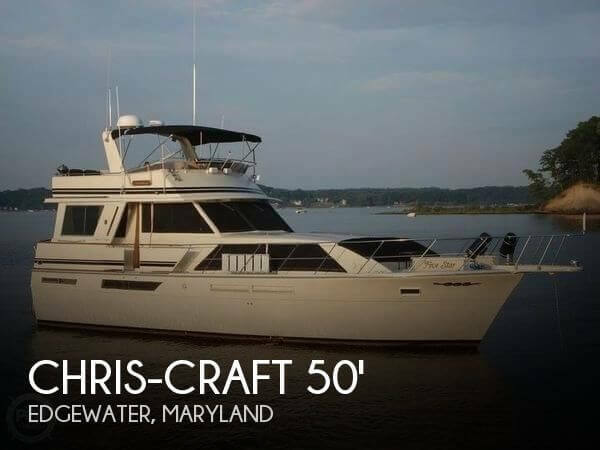 This vessel is located in Edgewater, Maryland and is in great condition. She is also equipped with twin Detroit Diesel engines that have 2,648 hours. Reason for selling is moving.